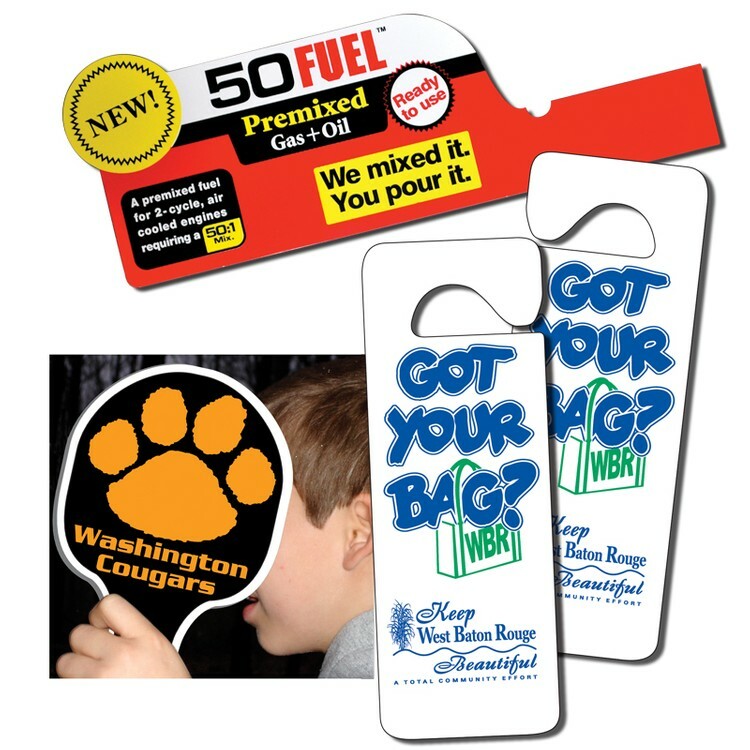 Complete an advertising campaign with one of our distinctive plastic promoters. Available in a wide array of sizes and imprint methods. These handy and easy to use promo tools are a must-have for any campaign. They are shaped or die-cut into charts, shelf talkers, danglers, spears, rulers, cards, signs, fans, bookmarks or virtually any configuration imaginable. REGULAR Version is pricing for 0 to 10 sq in. Production: 7 -10 business days. Other sizes available on Kwik-Quote™!